of Scottish Plaids, with the exception of Brushed Wool , Lambs wool or Silk tartan items. 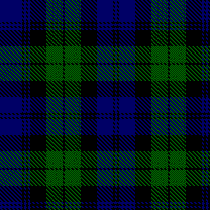 See the Tartan List for available tartans.Irish tartan products are available in a limited range of products. Please Note: Not all products available in all tartans shown on this site. Tartan Swatches Ros-Wil plus District and Irish Tartans pages. See the Men's Kilts & Packages Page of this site. See the Tartan Clan Plaques page of this site for details. 270-886-2010. We accept all major credit cards. Also available Tartan Shawls , 54" x 54" in all tartans , Stoles 27" x 72 " with fringe on all sides , constructed of 100% pure new worsted wool . Special Order only.Ask for details. Delivery from Scotland in 8 to 12 weeks.